You should make a pre preparation to choose the right wedding dress for you because when you enter a wedding dress store you will see that there are hundreds of different wedding dress models. We wanted to clear your head and tell you which wedding dresses are proper for your body type and which wedding dresses you should avoid. Even if there are lots of wedding dress types, we can decrease them in 4 main types. These are ball gown style wedding dresses, mermaid style wedding dresses, sheath style wedding dresses and A line style wedding dresses. While you are trying to choose your wedding dress, you should check if its proper for your body type, if you feel comfortable in your wedding dress or not and the most importantly if it is the wedding dress that you are dreaming of. Let’s have a look on these 4 main types. These wedding dresses follow the contour of the body and it is a wedding dress that back décolleté suits best. This is the reason why the hottest wedding dress type is this type. It is preferred by women who have proportional body shapes. You can have some hard time on your wedding day with this kind of wedding dress as it becomes tight starting from hips to the knees. Please do not forget to test if you can walk easily in the wedding dress rehearsal. This wedding dress type is the most common, classical wedding dress type. It has fluffy skirt and corseted. This wedding dress is proper for every body type and it can make you feel like a princess. If you are a mignon woman you can choose low waist models to make you seem longer. This model is proper for each body type. It goes from breast to skirt as a bell form. With this, you can distinguish this wedding dress from ball gown type. These kind of wedding dresses are plain and elegant and it is a formfitting model. Usually it can be used with back décolleté, buttons and laces to have a retro style. If you had an idea about wedding dress types, now we can give you some ideas about neckline choices. The best part of the wedding preparations is certainly choosing the right bridal dress. It is also a very difficult process to choose the right wedding dress. We examined wedding dress collars for you to make this process easier. We suggest you to consider your face shape, your hair model which will be made on your wedding day and your breast and hip size while choosing the neckline of your wedding dress. Here are our advices for you. There are 4 main types. Sweetheart Style, strapless style, halter style v-neck style and boat neck style wedding dress necklines. We advice this model to ladies with normal or large breast and with hourglass body type. It is one of the most preferred model as it is a romantic symbol. Whatever hair model you have on your wedding day, it will be perfect with this neckline. This model suits mignon women with hourglass body type. Small breasted women should avoid this model. You can use your hair both made or open. This model will be a good choice for large shouldered women. Mignon type and short shouldered women should avoid this model. You should tie your hair up if you want to choose this model of neckline. It is suggested to women who have large hips because this model take attention to upper side of the body. Large shouldered brides to be should avoid this model. Bride candidates who wants to hide their arm parts should use this kind of model. Summer weddings offer much more options to couples for wedding preparations. This is why most couples want to get married on summer. So what kind of wedding suits does this summer offer us? Groom candidates can choose colorful models of wedding suit designs. There should be colors which will complete each other instead of using only one color for wedding suit in every detail. For instance for an ivory colored wedding suit, groom can use orange or green details and so wedding suit will be brighter. You are planning an original, creative, unforgettable marriage proposal. An important step in this process is wedding rings which come first when someone says wedding jewels and it is also important that how you present your wedding ring. Wedding is important but presenting the rings is as important as the wedding. Because wedding presentation symbolizes the love and the special bond between a man and a woman. You can present your ring in different ways according to your wedding theme and wedding concept. For example if your wedding theme is sea, you may present your ring in a sea product. You may use accessories like Shells and mussel shells. If your wedding is a country wedding you can take some tree branches, put them together, color them and make a knot with colorful fabrics. Then you can put your wedding rings on it. Beside these options, you can make your wedding presentation with little decorative boxes. You can color these boxes as you wish and for example you can put rose petals in it to make your presentation more attractive. You should not forget the decorative small pillows for ring presentation. Decorative small pillows are being chosen by so many couples during ring presentation. Decorative laces which are added to the pillows are making the presentation much more attractive. You can tie or bind your ring to these laces and you can make your presentation easily. Another presentation idea which will make you feel even more special is to use any material which is special to you and make your ring presentation that way. For example you can put yours and your partner’s favorite song in a music box and you can present your ring with this music box. Another idea is to present the ring with a toy you gave your partner as a gift or you have been given a toy as a gift. Yo9u can imagine the movie ‘’love me if you dare’’ and the toy accessory which was used in that movie. You should always be creative and think about other options while you are preparing a ring presentation. We hope this article was helpful for you to imagine some good creative ideas on ring presentation. Wedding City Antalya is an international wedding operator in Antalya, Turkey. 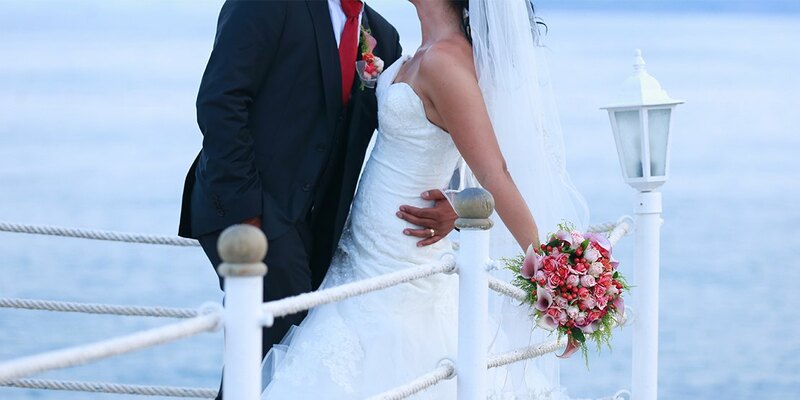 After you make your proposal, if you want to present your ring with a beautiful marriage ceremony in Antalya we can organize your dream wedding in Antalya. Wedding City Antalya is experienced on Luxury Hotel weddings, beach weddings in Antalya, Luxury Weddings in Antalya, traditional weddings in Antalya, civil marriage in Antalya, symbolic marriage in Antalya, traditional Indian weddings in Antalya, traditional Iranian weddings in Antalya and traditional Pakistani wedding in Turkey.